!! 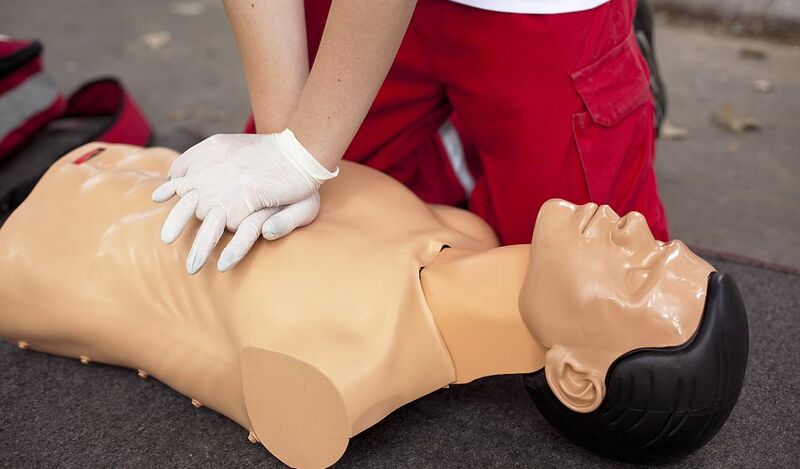 Book our Level 3 First-Aid at Work (3 days) course now at the discounted price of £149.99 only instead of £249.00!! All courses are held 7 days a week at our Stratford centre. Book online for individual courses or call now for a package deal to confirm your place. This 3 day course is relevant to all nominated workplace first aiders, or anyone wanting a comprehensive introduction to first aid. ♦ be able to conduct a secondary survey. ♦ be able to administer first aid to a casualty with injuries to bones, muscles, joints, suspected head, spinal and chest injuries . ♦ be able to administer first aid to a casualty with burns, scalds, eye injury and anaphylaxis. cerebral compression, spinal injury, chest injury, burns, and scalds. ♦ How to recognise major illness including heart attack, stroke, epilepsy, asthma and diabetes. After attending the course and successfully completing a multiple-choice examination, candidates receive a Level 3 Award in First Aid at Work certificate and First Aider ID card that can be used to provide as an evidence for regulatory compliance and audit. We can come to your premises and deliver this course for a very reasonable price. For further information about in-house training or group booking, please do not hesitate to contact us either via telephone, email or by simply submitting Contact us form. ♦ Fully accredited and authorised training centre! ♦ Most competitive prices with NO HIDDEN COSTS! ♦ Prices are all inclusive of tuition, handbook, notebook, exams and certificate costs! ♦ Nationally recognised and accredited training courses! ♦ Highly skilled and qualified trainers with a great wealth of practical knowledge & experience! ♦ Fast results and certificates turnaround! Assessment: By an independent assessor. Need to demonstrate practical skills, answer questions to prove knowledge and a multiple-choice exam. How Firefighting Equipment Can Play A Crucial Role To Save Human Life And Property In Business. How An Employer Can Ensure The Safety, Health and Welfare Of His Staff At Workplace By Ensuring The Safe Systems In Place? We, at Safetymark are a training, consultancy and auditing company that cater to all sectors in London as we are situated here. We offer an array of services ranging from food safety, health & safety, first aid, fire safety and licensing to consultancy services such as food hygiene and health & safety consultancy. Safetymark Training and Consultancy Ltd. Copyright © 2019 SafetyMark Training & Consultancy Ltd., All Rights Reserved.